LGBT film festival and BaWaKayee Gallery is displaying at Pyi Gyi Khin Office located at BoGyoke road, Pakkoutku. “BaWaKayee” Gallery will be displayed by Colors Rainbow with the help of local Pakkoutku organization “Tamar Myay Ma Tunyi Thaw Twe Let Kalay Myar” from 29th October to 1st November. Besides, from 29th to 30th October, there will be “LGBT” film festival by & Proud. “The significant thing in Pakkoutku is that Gallery is displayed in the morning and & Proud showed films at night. At the beginning of the Gallery, about 40 people including LGBT and non-LGBT came and see the gallery interestingly in the morning. The Gallery will be displayed for 4 days. For & Proud, the film will be displayed for just 2 days, 2 films in one day,” Ko Thar Ko who is a responsible person of “BaWaKayee” Gallery said. Such “BaWaKayee” are displayed with the aim of making people easy to learn details of real life images of LTBT and these Galleries will be continued displaying in 6 Townships including Taunggyi, Dawei, Pathein. “As such Gallery is displayed at our town, we can get knowledge about difficulties, challenges and success of other LGBT from other towns. Perspectives of non-LGBT can be change by seeing the films showed at night. 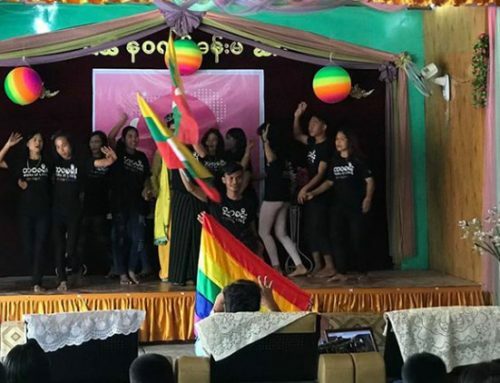 For LGBT, they gain spiritual strength and take example of what they see,” said Kyi Kyi, the leader of “Tamar Myay Ma Tunyi Thaw Twe Let Kalay Myar” organization. “BaWaKayee” Gallery was also displayed at the Shwebo Pagoda Festival , Saggaing Region from 6th to 9th October 2018. 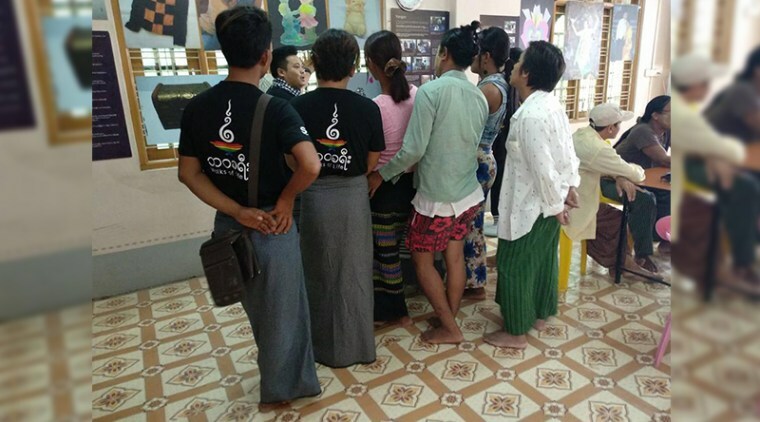 “BaWaKhyee” Gallery program which displays the real life-images of LGBT was implemented in July, 2016 and it was displayed in Yangon, Mandalay, Pyay, Mawlamyine, Lashio and Taung Pyone Festival as a first time. As a second time, “BaWaKhayee” Galleries were displayed in Mandalay, Mawlamyine, Pyay, Lashio and MonYwa at 2017.